OpenTable’s Open Kitchen Initiative and Eataly L.A. 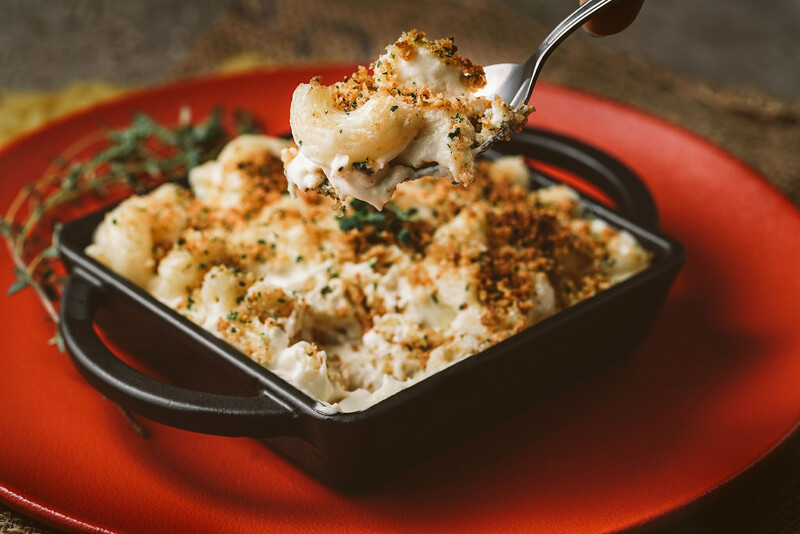 This edition of MRM’s Daily Bite features OpenTable, LevelUp and FullContact, Clune Construction Company, Drop Bar and Lounge Sdn Bhd, Texas de Brazil Churrascaria and the Wisconsin Milk Marketing Board. OpenTable unveiled its “Open Kitchen” initiative at SXSW 2018. The PSA-style campaign spotlights the need for the restaurant industry to make a shared commitment to put an end to an exclusionary, abusive culture and refocus on creating safe and respectful workplaces in restaurants. 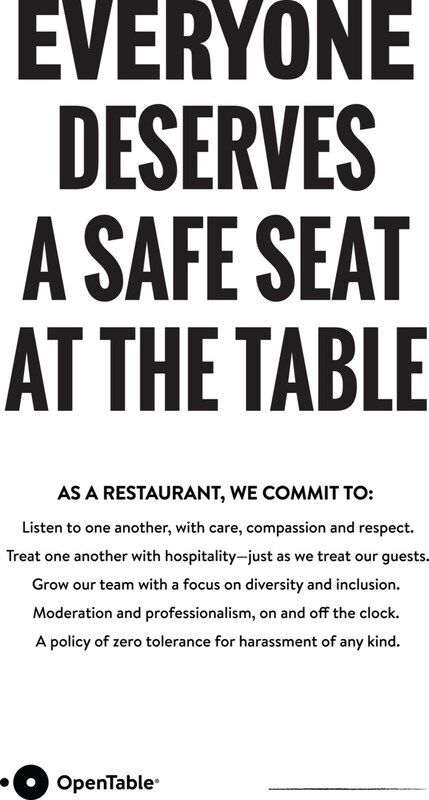 OpenTable collaborated with prominent restaurant owners, GMs, and chefs to release a public service announcement in which they advocate for professionalism, inclusiveness, and equality. Quarles debuted the campaign and PSA video at her SXSW presentation entitled “Silicon Valley to Restaurants: The Path to Equality“. The PSA stars chefs and restaurateurs who have committed to Open Kitchens in their restaurants, including: Tanya Holland (Brown Sugar Kitchen, Oakland), Mary Sue Milliken (Border Grill, LA), Edward Lee (Succotash, DC), and Nicole Krasinski and Stuart Brioza (State Bird Provisions, SF). To commit to an Open Kitchen and learn more about the campaign, click here. To read more of Quarles’ thoughts on this important topic, click here. LevelUp partnered with FullContact, an identity resolution provider, to power precision marketing programs by providing restaurateurs with a detailed understanding of their guests’ interests and social networks. 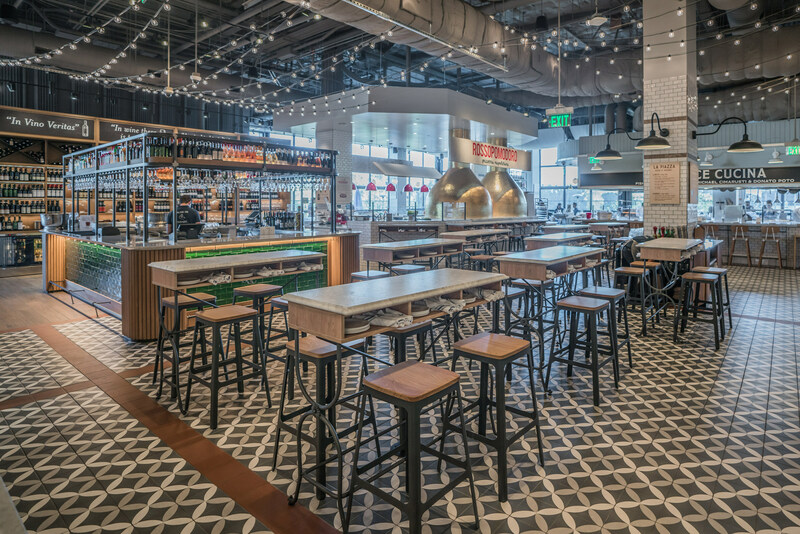 Clune Construction Company completed construction on Eataly L.A., an Italian marketplace designed by Studios Architecture at the newly renovated Westfield Century City shopping mall in Los Angeles. This new location is Eataly’s first West Coast store, the fifth in the United States, and the 39th globally. The project included the construction of an expansive, three-story, 67,000-square-foot space for the new Eataly L.A. To complete the intensive LEED project, Clune constructed four restaurants, multiple kitchens, nine take-away food counters, a cooking school, retail space, and two chilled wine storage rooms. Clune installed two interconnected spiral staircases to link three floors within the marketplace. The company worked with an out-of-state manufacturer in Minnesota to fabricate the stairs, shipped them to Los Angeles in large pieces and then carefully installed them into the space with the use of a crane. Clune installed the in-house greywater system designed to recycle water, significantly reducing the amount of drinkable water the store uses for flushing toilets and watering plants by up to 33 percent. The project included the construction of a clean room designated for the on-site preparation of gelato and mozzarella. The team installed customized pasteurizers to replicate the authentic taste of gelato and mozzarella from Italy. Clune coordinated with Eataly’s kitchen experts to create these rooms, both of which adhere to state regulations. 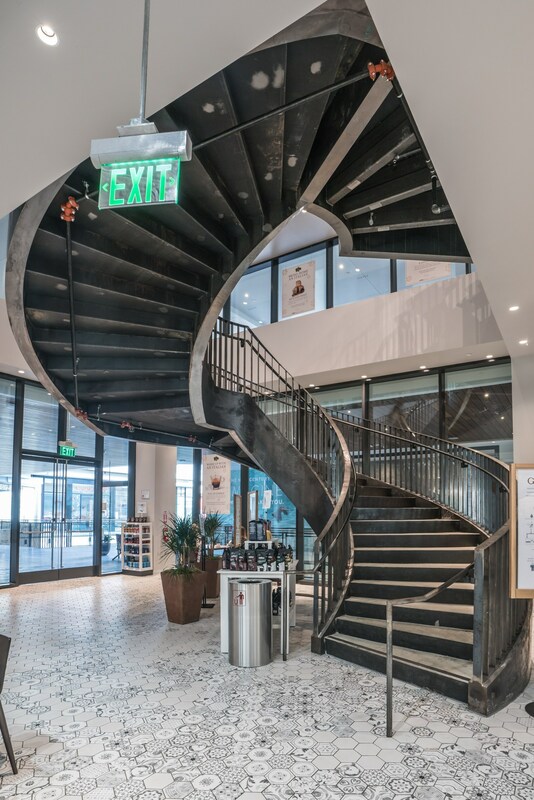 “We had a very good experience working with Clune, and we are very proud of the final product,” said Alex Saper, COO and Partner of Eataly USA. Clune is also currently working with Eataly on Terra, a special project located on the third floor. Drop Bar and Lounge Sdn Bhd (Drop KL) opened at The Terraces, TREC on 438 Jalan Tun Razak in Kuala Lumpur. “The American Association of Malaysia aims to bring a feeling of home away from home to our members, with our American Hospitality styled social events. Drop KL does this by offering regional American cuisine, with a modern twist. So no matter where in America you come from, you’ll be sure to find a taste from home,” said Jill Nanne, President of AAM as she officiated the soft launch. Drop KL is the latest Modern American casual dining restaurant and lounge to open in KL and offers customers the opportunity to Eat, Drink and Drop in TREC. Malaysians are invited to take “A Journey for the Senses” and taste Modern American slow-cooking methods, molecular beverages and international hospitality standards. Brainchild of Hong Kong-based entrepreneur and renowned music DJ Joel Lai, Certified Sommelier Alison Christ and Executive Chef Tim Jay, the trio helm Drop hospitality group with investments of US$850,000 pledged over the next three years in Malaysia. 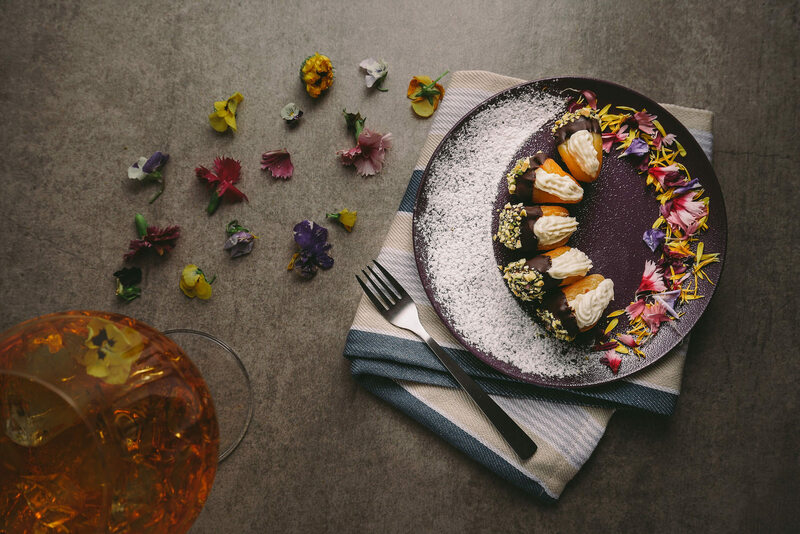 There are three different dining and drinking atmospheres at Drop KL; the main Zen-inspired casual dining room with private booths and high tables, a luxe black marble bar and a tropical alfresco area with views over the Royal Selangor Golf Club and KLCC Tower. An expansive yet-to-be-revealed rooftop bar will launch later in the year as part of Drop KL’s phase two. The ambiance has been created by renowned architect and interior designer Tracey Stoute who worked under the late Zaha Hadid and Sir Norman Foster before setting up his own practice, the award-winning Hong Kong firm EightSixThree. The 3,000 sq.ft. Drop KL marks a first in Malaysia for the firm after laying down plans for Drop Hong Kong, Apple, BMW, Dolce & Gabbana, Cartier and Zegna among other projects. “In building a global brand such as Drop, we chose Malaysia as our first overseas outlet due to its location in the region as a hub for business and leisure travellers. We are also impressed by Malaysia’sdesire to raise hospitality and tourism standards and are eager to play a part in fulfilling that vision with our friendly and professional team,” said General Manager Alison Christ. Executive Chef Tim Jay (TJay) presents the art of slow-food cooking and is influenced by European, Asian and Latin American heritage from North America, sourced from the freshest local ingredients from Asia Pacific. The menu features house-made flatbreads with toppings such as stewed rabbit, grilled artichokes and Taleggio cheese, or the blue cheese, miso smoked duck and goose foie gras version. Other highlights include The Real Deal Mac and Cheese – a creamy mainstay with five cheeses, Go Ask Alice – a rabbit stew served with roasted with red peppers in chickpea ‘Sope’ and the Creole Sweet Potato Pie – a medley of seafood in sauce nantua and gratineed sweet potatoes and the Japanese Wagyu strip served with Yuzu pickles. All food served is pork-free. Guests are invited to drop in for a taste of drinks originating from distilleries in all four corners of the globe. The Drop KL Aperitivo Hour from 5pm-8pm offers quality molecular beverages handcrafted by professional barman Tim Clark. For wine connoisseurs, Certified Sommelier Alison Christ has handpicked a selection of natural, biodynamic and organic wines to pair with your dinner. Before midnight, the main dining room transforms to serve chilled out tunes, fantastic voyages back to old school disco, or dancers breaking alongside Detroit deep house beats. Drop KL offers room for discovery and creativity as our music and entertainment component will be curated by founder Joel Lai himself, who has decades of experience as one of Asia’s best DJ’s and promoters of quality music. Texas de Brazil Churrascaria opens its first Missouri location at the Saint Louis Galleria in the inner-ring suburb of Richmond Heights. The family-owned Brazilian-American steakhouse brand now has 57 restaurant locations in 20 states and seven countries worldwide. Texas de Brazil celebrates its grand opening in the Saint Louis Galleria. 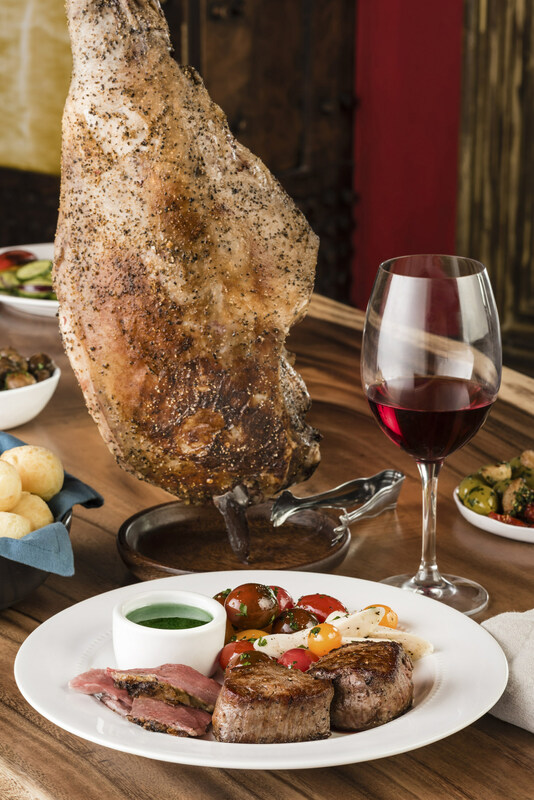 “We’re very happy to welcome guests to our new location in the bustling Saint Louis Galleria and the community of Richmond Heights,” says Salim Asrawi, Chief Operating Officer for the Brazilian-American steakhouse brand. “We look forward to treating visitors and locals alike to the authentic Brazilian churrasco and genuine service we are dedicated to providing every day,” he adds. Wisconsin is making cheese history at SXSW by creating the world’s longest cheese board for attendees. The enormous cheese board, top photo, features more than two thousand pounds and 100 different varieties of cheese from brands across the state. The board is over 70 feet long and features some of Wisconsin’s finest cheeses from caved-aged cheddars to fresh, squeaky curds and includes hand-rubbed wheels, blue-veined cheddars, stinky limburger and the 2017 US Cheese Champion, Sartori Black Pepper BellaVitano®. Special events in the lounge include a morning hangover remedy featuring a Bloody Mary bar and afternoon happy hours with expert-inspired wine and cheese pairings. Participating cheese companies from Wisconsin include Artisan Cheese Exchange, Arena Cheese, BelGioioso®, Carr Valley Cheese, Caves of Faribault, Cedar Grove Cheese, Chalet Cheese, Comstock Creamery, Cow Candy, Crave Brothers Farmstead Cheese, Decatur Dairy, Edelweiss Creamery, Ellsworth Cooperative Creamery, Roth Cheese, Hook’s Cheese, LaClare Family Creamery, Maple Leaf Cheese, Marieke Gouda, Norseland Cheese, Odyssey Feta, Pine River Pre-Pack, Prairie Farms, Red Barn Family Farms, Roelli Cheese, Saputo Specialty Cheese, Sartori Cheese, Saxon™ Creamery, Schuman Cheese, Specialty Cheese, Swiss Valley, Uplands Cheese, V&V Supremo, Widmer’s Cheese, Winona Foods and Wisconsin Cheese Group. Meat provided by Columbus Foods. Wisconsin cheesemakers stole the spotlight at the World Championship Cheese Contest, winning more awards than any other U.S. state or country. Five of the top 20 global cheese finalists in contention for World Champion were from Wisconsin. This year’s contest drew a record-breaking 3,402 entries, 15 percent more than the 2016 competition, in 120 categories from 26 countries and 32 U.S. states. Wisconsin captured 40.5 percent of all awards, winning 147 awards in total – five times more than its closest competitor, New York, with 26 awards, followed by Switzerland and The Netherlands with 19 awards each. Wisconsin cheesemakers won 49 Best of Class Awards, 51 second place, and 47 third place awards. Wisconsin also swept 22 of the 120 competition classes: Traditional Waxed Cheddar, Sharp to Aged; Parmesan; Aged Asiago (over 6 months); Feta; Brick, Muenster; Havarti; Havarti, Flavored; Gouda, Mild; Smoked Gouda; Brie; Latin American Style Melting Cheeses; Paneer; Open Class: Semi-soft (Semi-hard) Cheeses; Open Class: Flavored Cheeses with Sweet or ‘Dessert’ Condiments; Cold Pack Cheese, Cheese Food; Cold Pack Cheese Spread; Spreadable Natural Cheeses, Flavored; Flavored Soft & Semi-soft (Semi-hard) Sheep’s Milk Cheeses; Lowfat Yogurt- Cow’s Milk; Flavored High Protein – Cow’s Milk; Open Class Shredded Cheese Blends, Flavored & Unflavored; Natural Snack Cheese. Ten Wisconsin cheese companies won five or more total awards in the competition: Klondike Cheese Co. (12 awards), BelGioioso® Cheese Inc. (8 awards), Schuman Cheese (7 awards), Saxon™ Creamery (6 awards), Lactalis (6 awards), Sartori Cheese (5 awards), Carr Valley Cheese (5 awards), Emmi Roth USA(5 awards), Marieke® Gouda (5 awards), Yodelay Yogurt (5 awards).